Humberto M. Speziani, Assistant Vice President for Business Services, joined the University in May 1985 as a Senior Accountant for the Budget Office. In his current position, he manages a budget of approximately $30 million and provides leadership for all aspects of the following units: Risk Management, Environmental Health and Safety, Managed Print Services, Document Centers, Travel, Contract Administration and Auxiliary Enterprises, which includes Food Service, Vending, Bookstores, Licensing, Mail Services, and the Watsco Center Complex. He formulates, reviews, and negotiates business contracts for the University; provides financial, marketing, and management oversight for outsourced auxiliaries; oversees the development and implementation of environmental health and safety standards, ensuring regulatory compliance; identifies risks and recommends courses of action designed to maintain the effectiveness of the University’s risk management program; and is responsible for the Green U program, which has taken steps to adopt sustainable environmental policies across the University. Mr. Speziani helps maintain the morale and business culture of the department by encouraging collaboration, team work, and open communications. 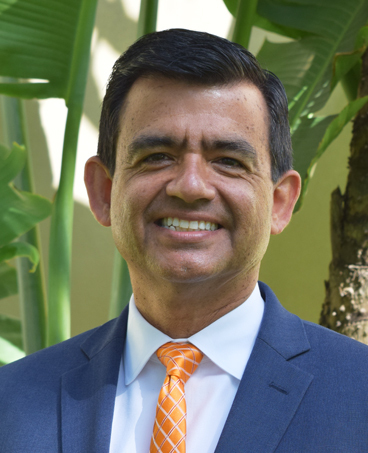 Mr. Speziani is a member of the Green Task Force, the Supplier Diversity Advisory Board, the Southern Association of Colleges and Schools (ACS) accreditation leadership team, and a board member of the University Credit Union. He is also a mentor on the University’s Big Brothers Big Sisters School to Work program. Mr. Speziani received his BBA and MBA from the University of Miami. He also completed the Master Certificate Program in Telecommunication Management, the Harvard Management Development Program, and is a certified brown belt in Six Sigma quality management.